Analogue tape is also well known for its 'warmth', even when the electronics are purely transistor. The problem with analogue magnetic tape, or what was seen as a problem before we had a digital alternative, is that tape is even more non-linear and it wasn't until the discovery of alternating bias that it was feasible to use tape to record music. There is a further disadvantage however as far as accuracy is concerned: in any system other than a recording device, the input and output are both available simultaneously. Therefore the output can be compared with the input, and any dissimilarities - i.e. distortion - corrected. This design technique is known as negative feedback and it works amazingly well. So well in fact that no-one in their right mind would construct an audio device without it (but are all designers in their right mind in the hifi world?). In any recording system however, by the time the recording is played back, the original input signal has long since vanished and there is no point of comparison. It is a matter of faith, and good design, that the output is similar in any way to the input. Analogue tape produces harmonic distortion in a way not too dissimilar to valves and the result is the addition of some even-order, more odd-order and a spattering of intermodulation products too. The bonus feature of soft saturation of tape certainly produces warmth but this has been well covered elsewhere. But there is more to tape than this and there are some effects that have no parallels in valve equipment, or any purely electronic equipment for that matter. In electronic equipment there is little that can affect the timing of signals other than in the extremely short phase shift domain. In a tape recorder however there are three motors, capstan and pinch wheel, several bearings, guides, tensioners, rollers, all of which affect timing, and let us not forget those curiously static erase, record and playback heads (at least newcomers to the industry will marvel at magnetic heads that don't move and you can prize off a particularly troublesome speck of grime with a fingernail). It's amazing that it works at all, particularly when there is no timing reference on the tape itself. (Modern design engineers who have only experienced digital technology probably won't believe that one!). 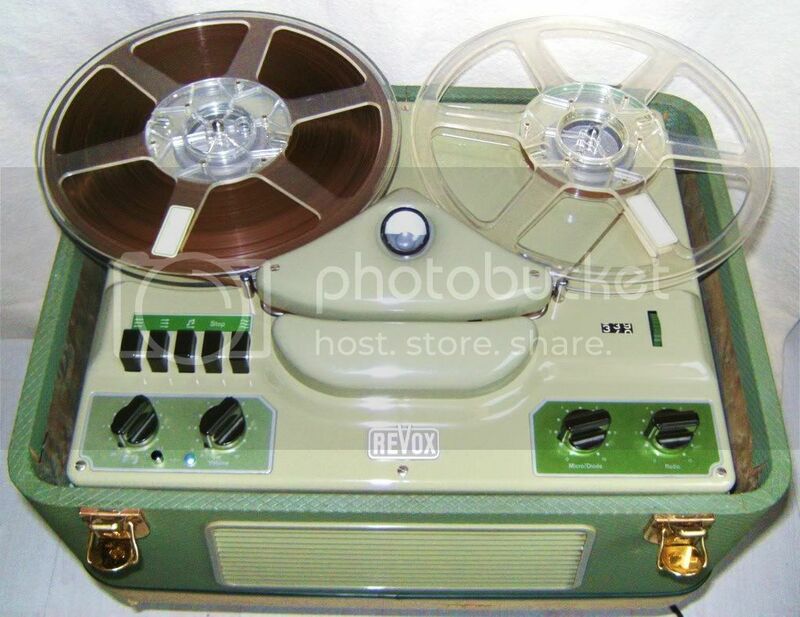 Analogue tape recorders are, considering the unpromising premise of their design, amazingly free from wow and flutter. Wow is for most people insignificant but it is the flutter, or short term speed variation, that contributes much to the characteristic sound of analogue tape, regardless of any distortion.